Is your mascara making your lashes as luscious as they can be? These three tips will help you get those long, thick lashes you want. What’s the one cosmetic many women refuse to leave the house without? Mascara. It’s funny how emphasizing your lashes can make such a big difference in your appearance — you look more awake, your eyes pop a little more and the more prominent lashes help frame your eyes and balance the rest of your makeup look, whether it’s dramatic or neutral. We suss out three ways you can get the most out of your mascara. Even if you’re using a curling mascara, you should use your eyelash curler before you sweep on your mascara to get that extra flirty curl. Start by crimping at the very base of your lashes, as close to your skin as possible. If you have time, crimp your lashes again about midlash. 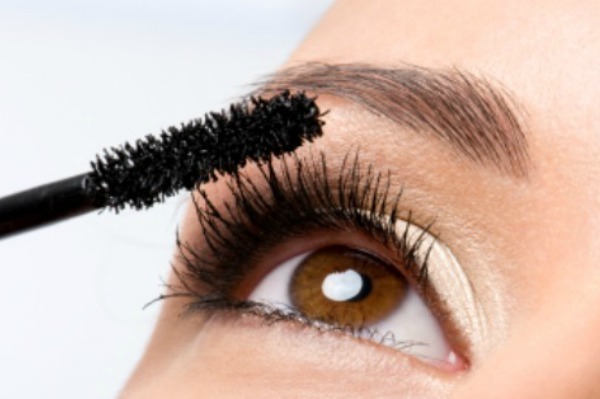 By doing this before you apply your mascara, the product you apply will dry and help “hold” the curl. Try the curler from Shu Uemura; it’s a favourite of makeup artists as it does a good job of getting even the smaller, harder-to-reach lashes. Mascara has to be replaced much more quickly than other beauty products you use; as it’s used in your sensitive, moist eye area, there are just too many risks of infection. Replace your mascara at least every three months (do it sooner if the consistency seems to change or if it starts to smell “off”). To help prevent your mascara developing bacteria, never share your mascara with anyone, and also avoid pumping your wand to get more product — this only helps introduce bacteria into the chamber. Start with a primer, which will help coat your lashes and build them up even more. Then, beginning at the base of your lashes, wiggle the wand as you sweep mascara onto your lashes to help deposit as much product as possible onto them. If you have any clumps, use a lash comb to remove them. Let dry, and then apply a second coat. For your lower lashes, if you find your mascara wand too large and unwieldy, try a brush designed specifically for baby lower lashes, such as the one from Clinique.